Chicago is the most populous city in Illinois as well as the third most populous city in the United States. The city is popular for its interesting architecture like the Sears Tower and many museums. It is also home to Ranquist Development Group, a small company that develops and builds homes around the city. 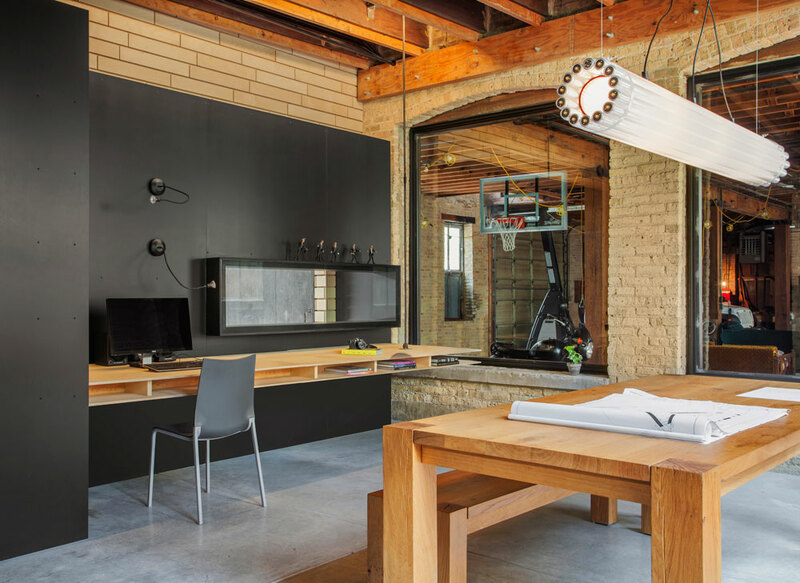 Chicago Studio Vladimir Radutny Architects renovated the office situated in an industrial brick building. The building is clearly unsuitable for an office. One of the problems the architects needed to create a solution for is the cluster of small rooms at the entrance. Only one medium sized room to work in and lastly, a garage that took up much of the building’s space. 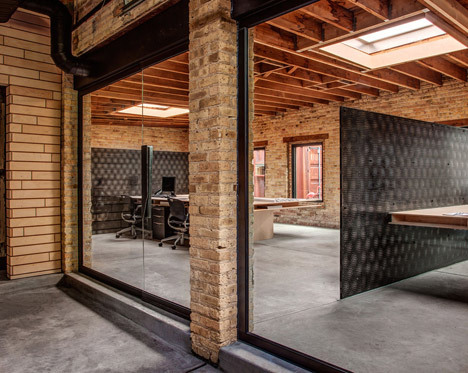 The Architects’s strategy was to create an open plan L-shaped office to address the space of the building which is the main problem to begin with. All internal walls removed and the garage reduced into half of its original size. As a result of this strategic move: dramatic increase of size from 37 square meters up to 83 square meters! 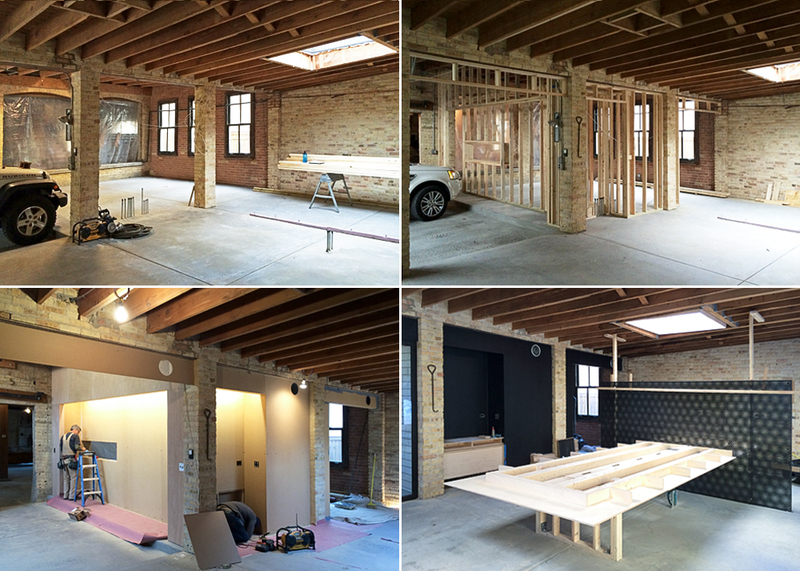 Moreover, to continue the solution inside the building, gypsum walls and ceilings stripped off to reveal the its original brickwork and timber ceiling joists exposing the beauty and rawness of the material. Large windows installed between brick columns makes the space feel bigger and lighter. Including one framing a view of the client’s parked Porsche. 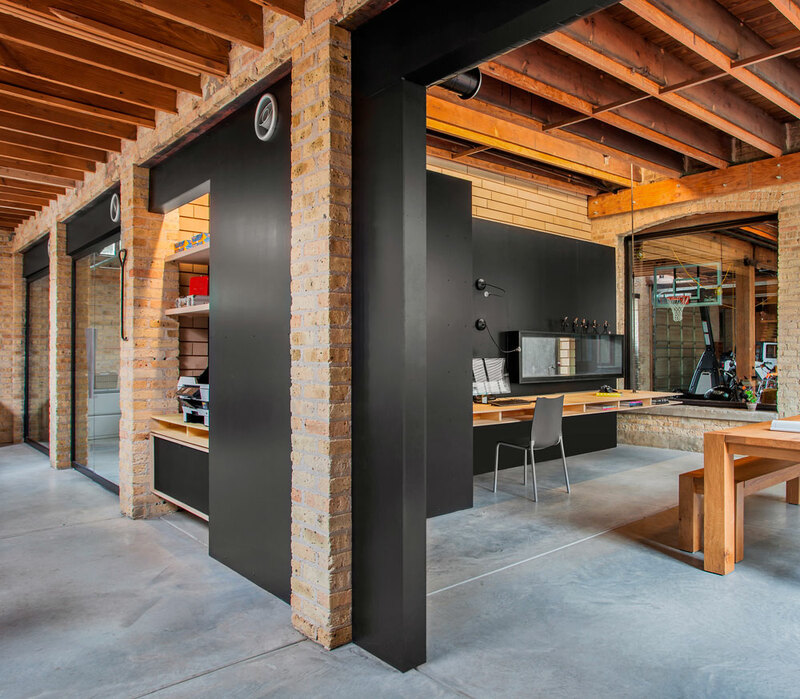 Concrete flooring poured throughout the space to complement the building’s industrial beauty. The placement of large panes of glass that separate the walls solved the lack of natural daylight in the space. These borrows light and adds more views from the outside throughout the entire area. Birch plywood desks, designed by the architects, were added to the centre of the space rather than against the walls, to highlight the newly exposed interior surfaces. An oversized communal desk is installed with an integrated storage in the center of the room. 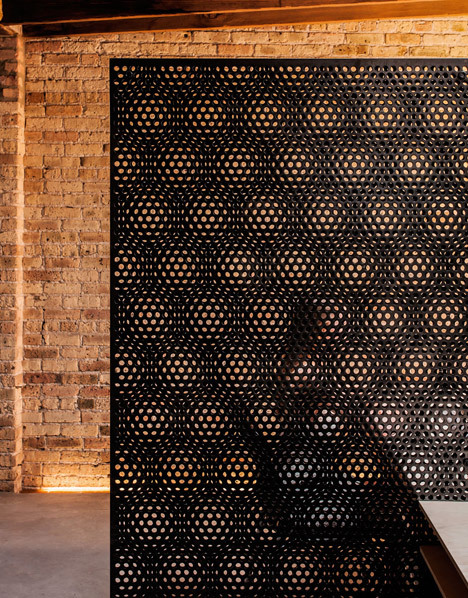 A continuous black screen “binding wall” screen serves as an informal partition separating the work areas. The MDF wall with integrated storage painted in black is visible in the area where a part of the garage previously stood. Lastly, a newly landscaped courtyard provides an additional 27 square metres of space at the side of the property.